Christmas is not only for kids to enjoy, but for puppies, too! We have a new pup and I wrote about the cute canine here. The kids are excited they want to buy something for Oreo (that’s our pup’s name) as Christmas present. My son suggested buying Oreo an outfit. They’ve seen a store that sells clothes for dogs at the mall. Let me see if I can find something online. A lot of cyber shops offer cyberpowerpc coupons during the holiday season. I wish to get Oreo a pair of tees. How about you, what do you prepare for your favorite pet this Christmas? 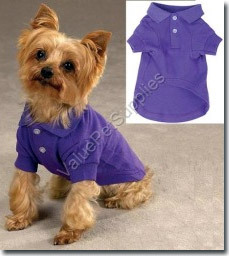 This entry was posted in Pet and tagged dog outfit, gift for dogs, gift for pets, pressies for pets, shirt for dogs on December 9, 2010 by Yami.